This painting completed in a few days while dealing with the chaos of preparing for the ambulance and then climbing mount everest the very next day. I don’t think Scott’s ever done such a densely color filled work so this represents a new direction for his art. 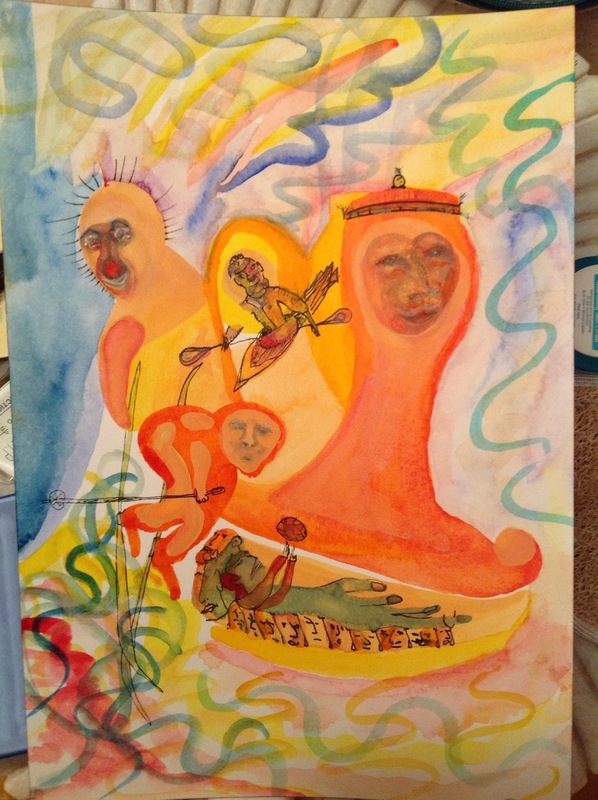 This entry was posted in Uncategorized and tagged art, Going to Goa Blog, Scott Morgan, traveling with cancer, watercolor. Bookmark the permalink. This is so cool. How can Scott be so artistically productive amazes me.